Are you experiencing a leaking dishwasher in your Salt Lake City home? Contact Disaster Doctors for professional water damage repair and service. We have a team of skilled technicians who offer emergency water damage restoration service. If a homeowner in SLC delays addressing the leakage, it can cause extensive water damage. If your kitchen dishwasher isn’t functioning correctly, it’s wise to contact a certified water damage inspection company in Salt Lake City, Utah. At Disaster Doctors, we inspect and repair water damage caused from leaking dishwashers. Our experienced technicians use infrared cameras to assess water damage from dishwater. Our professionals make sure to check hidden areas including baseboards, cabinets, flooring, and walls. We provide clients with in-depth reports after inspection and offer estimates of repair costs before cleanup. Dishwashers may not drain well especially if there is a lot of water covering its lower part. Often, water accumulation results in dishwater leaks and damages kitchens. A professional needs to carry out an appliance leak cleanup to mitigate flooding damage. When Should You Seek Professional Water Damage Clean up? Floods are disastrous for any home in Utah. Floods usually occur after a runoff during seasonal transitions. Also, a pipe burst can cause flooding. If you don’t seal leakages immediately, they can lead to immense flooding damage. Our water damage experts use a variety of tools to get rid of contamination. Using efficient and safe clean-up methods is vital. Does Homeowners Insurance Cover Water Damage from Dishwasher? Most homeowner’s insurance in Salt Lake City, Utah helps in covering damage due to accidental or sudden leaking plumbing. However, it doesn’t compensate for damages caused by poor maintenance. For instance, if you fail to repair a leaking kitchen sink that damages your flooring, you’ll have to incur repair expenses. Which type of water damage does home insurance cover? Damage from persistent maintenance issues: A typical homeowners’ policy covers the cost of replacing and repairing damaged flooring if the dishwater develops malfunctions suddenly. However, it doesn’t cover damage due to unresolved maintenance. Repairing and replacing the water damage source: Most homeowners’ policies don’t include the cause of water damage. It may meet the cost to repair a damaged floor. However, it doesn’t cover the expenses you incur while fixing broken dishwater. Flood: Ordinary homeowners insurance doesn’t cover flood damage and the source of water damage. Storms or surging water bodies such as lakes and ponds often cause flooding. It’s prudent to join the National Flood Insurance Program to buy flood insurance. 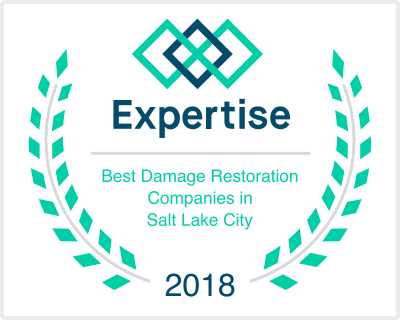 Are you looking for water damage inspection and repair in Utah? Get a free quote from Disaster Doctors. We serve the Salt Lake City, UT region and are available 24/7 for emergencies. We have modern disaster restoration equipment including high power fans and vacuum cleaners. All of our dishwasher water damage restoration staff are certified by the Institute of Inspection, Cleaning and Restoration Certification (IICRC). Call us today at 801-210-1988 for a free consultation.